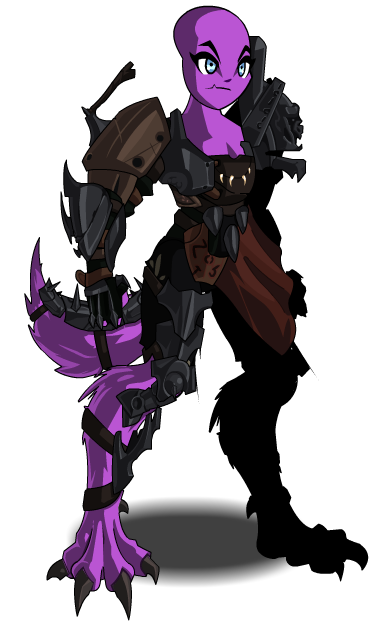 Special Effect: Lycans gain mana when they strike an enemy in combat or are struck by an enemy in combat. Description: With the strength and agility of a Lycan, a clumsy flail in an attempt to hit something becomes a nearly inescapable barrage. Does 200% damage to 2 targets in far range. Description: Diving into the fray suits you, and it gets your Lycanthropic blood pumping, kicking your regenerative abilities into action. This ability stacks. Deals 100% damage to 2 targets in far range. Applies Predation to player, a Heal over Time increasing with each stack. Stacks up to 4̶ 5 times and lasting 12 seconds. Description: With your new legs you send a mighty leaping kick to the head of your enemy, causing them, at the very least, to become really dizzy, reducing crit and dodge chance. Deals 350% damage to a target in melee range. Applies Disoriented to the enemy, lowering their critical strike chance by 50% and their dodge chance by 30%. Lasts 15 seconds. Description: Haste increased by 10% and crit chance increased by 5%. Description: Damage taken reduced by 15%. Description: You let loose a blood-curdling call to the sky and your opponent, shaking them to their core. Hopefully. Has a chance to apply one of four stuns. Note: Applies Dull Surprise, Spooked, Shaken, or Primal Fear to a target in far range. Each effect has varying durations of stun. This class has the same skills as Lycan (Class) (AC).